Funeral service for Ralph Howard Nolley will be at 10 a.m. Friday, Dec. 22 at Blanchard-St. Denis Funeral Home with Bro. Daniel Lowe officiating. Burial will follow at Oak Grove Cemetery in Natchitoches. The family will receive friends from 5-8 p.m. Thursday at the funeral home. 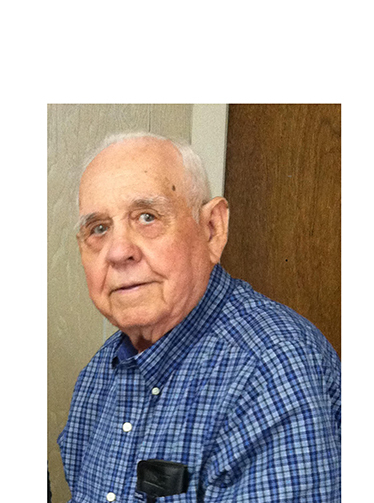 Mr. Nolley, 94, and a life-long resident of Natchitoches, passed away Dec. 16, 2017. He was born April 20, 1923, to Albert Bennie Nolley and Eva Lena McDonald Nolley. He was preceded in death by his parents; wife, Ruby Booty Nolley; and was the last surviving sibling of 10. He proudly served in the United States Navy during World War II. He retired from NSU as the superintendent of the transportation department after many years of service. He was a loving father and grandfather and will be greatly missed by his family and friends. He is survived by sons, Ralph E. Nolley and wife Alice of Scottsdale, Ariz., and Dennis Nolley and wife Jan of Athens, Texas; two grandsons, Jonathan Nolley and wife Gayle and Ben Nolley; as well as great-granddaughters, Savanah and Maizie.